Meet this months guest blogger. 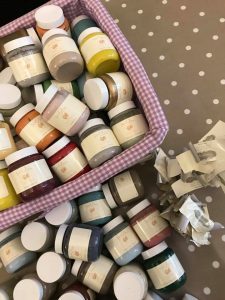 My Maison Chic discusses eco paints. I am Anna and the founder of a small online business called My Maison Chic. I founded the business in 2016 to become a one stop shop for all things paint when upcycling furniture/nik naks. I sell three brands of paint all of which are UK made, water based, low VoC, low odour and more importantly child & animal friendly. This means that you no longer need to pollute the earth or your lungs with oil based paint just to upcycle. There is also an incredible array of colours to choose from so there really is a colour for everyone. So the next time you bemoan that the old kitchen chair is so scruffy it should really go into the bin, stop and grab a paintbrush. My goal is to help to reduce the things we needlessly throw away ‘because they look scruffy or don’t match the décor now’, for a few pounds and a couple of hours work you too can transform something tatty into something fab! If you have always wanted to try upcycling with paint but don’t know which end of the paint brush is what, then feel free to follow by Facebook page or send me a message. I am more than happy to help people fall in love with painting. Painting is a lovely way to connect with your crafty side, its eco-friendly though do be warned that it can become quite addictive. 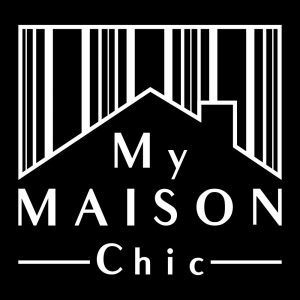 If you want to find out more about me then www.facebook.com/mymaisonchic is the best place to start. Take care all and I’d love to see you hop on to my page getting stuck in.